Okay, sometimes a packshot (cover art) for a single or album really takes our breath away, but this one really takes the cake. 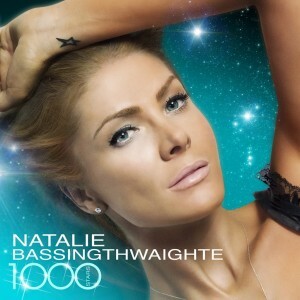 It’s the official artwork for the Natalie Bassingthwaighte album ‘1000 Stars’, due in-stores later this month. It (naturally) features the singles ‘Alive’ and ‘Someday Soon’. I like it – It’s quite pretty!